Small fragment of a Moon meteorite, a real piece coming from the Moon! This is a Moon meteorite. Purchased from a Moroccan meteorite hunter and sent for university research. 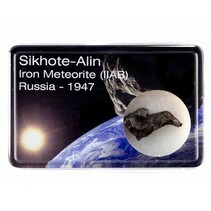 Here it is determined that this meteorite originates from the Moon. The structure of this meteorite corresponds to the stones taken by astronauts of the Moon. The only moon material that is present on earth comes from these meteorites or is taken by astronauts, which makes these pieces extremely rare! The pictures are enlarged to show detail. 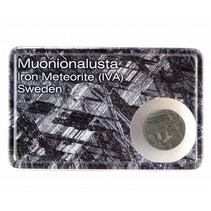 The moon meteorite comes in a plastic box of 5.5 by 3.5 cm. The weight is shown in the picture.